This film is going to be pretty epic when it comes out (early 2019), and the producers are hoping to get accepted to Sundance if things continue going well. Which, so far so good! They released the trailer at FinCon the other week, and within 8 days of launching their Kickstarter campaign in conjunction, they already hit their $40,000 goal to finish up editing – and then some. In fact, at the time of this publishing they’re now at a whopping $62,860 raised! Which says very clearly that the community wants (and needs!) to see this! The more the word gets out, the more people can realize that THERE ARE OTHER WAYS TO LIVE!, and that each of us has the power to make it happen for ourselves. I can’t think of anything better than that, can you?? Complete freedom to be the best, most powerful, energetic, happiest and most generous version of You that you can possibly be. Here’s more about the documentary below, followed by links where you can learn more and sign up to be notified as soon as it comes out. List of all the bloggers and authors featured in it: Afford Anything, Mad Fientist, the boys from Choose FI, Mr. Money Mustache, JL Collins, The Minimalists, Vicki Robin of “Your Money Or Your Life”, Frugalwoods, Ryan Holiday, Millennial Money, Rich & Regular, Mr. 1500, Our Next Life, PT Money, JD Roth, Jocelyn Peonita Pearsons, Chris Hutchins, Millennial Revoluion, Doug Nordman, and then the ever inspiring Go Curry Cracker. Then of course like we always do with our Resources of The Month (like how I say “always”, even though this is literally only the 2nd one we’ve done? Haha…), here’s a fun little bonus for anyone still reading this right now. What does a free and happy life look like to you? UPDATE: Giveaway now over — Congrats to Natalie, Jacq, and Catherine G. for winning! Traveling to a warm place once a winter and not worrying about the price. Working on passion projects and giving anything that comes from it away to charity because I have enough. Can’t wait for the film to come out! It’s like the money version of the Avengers haha. A free and happy life to me would be having the time and money to travel when I want, help others do things that they don’t have the time to do on their own and come up with a cool way to make money on the side to give to causes I care about. A free and happy life would be spending time with my aging parents on a weekly basis. Taking trips around the US with my hubby and the dog and knowing that we don’t have to get back by a certain time because we don’t have to go to work the next day! It would be volunteering for things like Special Olympics, Young Life and other causes close to my heart. It would be getting outside and walking, biking and hiking more. It would be reading books in my hammock and not worrying if I fall asleep for a while because I don’t have anywhere I have to be. It would be saying yes to the things that I enjoy and that fill my heart and soul and no to things that I dread. That’s what I think a free and happy life would be like! A free and happy life means I’m making the choices that matter to me, spending time with the people I care about, and doing the work that lights me up and helps others. My time is my own. I decide how to spend it, in the service of those I love and those I’m here to help. I’m convinced that a free and happy life has to start now, whatever our circumstances are, because it won’t feel free and happy when we’re FI if we don’t work towards making it feel free and happy now. Can’t say my time is completely my own yet, but we’ve definitely engineered our lives to be more our own in the last year than we could ever say before. Mr. ThreeYear and I take walks at lunch, we watch family movies at night, spend quality time with our kids, and try our best to take life less seriously. No need to wait until “the finish line” comes (IF the finish line even comes!) before living a more enjoyable life. We have so much more say in this than we sometimes realize! My FI (free & happy) looks like…lunch with friends (time), time with family, travel, time in nature, learning new things, helpigng others, definitely not commuting in traffic like I do now. Fall foliage, snowdays with a book and a mug of hot chocolate, spring flower festivals, summer days by a lake. I really like the sticker that says ‘My other vehicle is a 401k’. A free and happy life means to me doing the work that I want to do and not working to just make $$ to make the bills. As I have gotten older is has gotten easier to do this, but I also found as my kids get older they take more $$ and time making this just a little harder to find the balance. Simply means to me that I can be free to take risks and cultivate passions in my life without worrying about the immediate or eventual monetary return. A free and happy life is enjoying the present movement. However, I really want to be able to pick my kids up after school, instead of having them go to after school care. I would love to pick them up, come home, help them work on homework as I make them dinner. After school time feels kind of rushed these days. Also, I want to be able to chaperone every field trip they go on! A free and happy life means, to me, mostly time. Time to sleep past 5 in the mornings without spending the rest of the day playing catchup. Time to take the dog – or dogs! – on a long, rambling walk just because it’s a nice day. Time to keep my garden weeded! Time to enjoy with my son and my husband. Time to finish all the things I’ve started – or would love to start – if I just had the time. Leaving my cube job to work on my other businesses full time. We have a small farm business that includes making products from our alpaca fiber. Our son with autism is our main weaver of these products. There is potential that we might be able to help other young people with autism as well. Freedom = Time and the ability to be of service. For me, a free and happy life consists of (1) using my skill set, talents, and energy to make the world a better place, (2) enjoying all of the beautiful people in my life, and (3) when I’m able to have kids (soon, hopefully! ), spending time with them to help them explore the world and how they fit into it, in a way my parents never had time for (because they were paying off debt). A free and happy life for me would be no alarm clock. In fact, it would be best if there were no clocks at all or pressure to be anywhere…but where I am at that moment. Ahhhhhh. Finally starting to figure that out. I actually ‘retired’ on Sept 21st this year, early, but not too early, I’m soon to be 61. So far, it has been NOT waking up at 4:30 in the morning, taking an hour bus ride into work, hating the work I’m doing, and then another hour bus ride back home to start doing all the things that need to be done around the house. I now have time to catch up on house things during the week, at any time of the day. Weekends are free. We’ve already spent time visiting friends that were visiting FL. Saw the Kennedy Space Center, been here almost 30 years and we’ve never been. Very educational and awe inspiring. Congratulations :) I bet you haven’t felt this “alive” in a while too! A free and happy life would be time spent with my loved ones in pursuit of passion projects rather than being bound by the 9-5 (or in my husband’s case the 8-7 between commuting and required overtime). Passion projects include lighting fires for those around us who deserve better, they just don’t know it yet. They also include a lot more time spent enjoying the ride rather than rushing to get there. As I approach my last working decade, retirement is staring me in the face (FIRE wasn’t even an idea when I was starting my career). A free and happy life for me would be being able to live a rich, fulfilling life once I retire. One where I don’t have to worry about making ends meet, where a part-time job is a choice, not a necessity and I can afford to work on my bucket list. I’m doing great financially right now but I have a massive fear of the financial unknown once I no longer have a steady paycheck coming in. So, financial security = a free and happy life for me. Waking up whenever I want every morning with my wife, where we both then can sit on our porch and drink coffee together. The simple things in life bring the most happiness! A free and happy life has me taking control of my day to day choices, rather then them being secondary to a 9-5. So much of my life energy is spent working and stressing over something that has so little meaning, and being free means flipping that around. A free and happy life would be a life with less worry. I have the money in the bank but I have yet to figure out how to calm the fears that have grown since having children. I worry about their health, their general wellbeing, their state of mind, the world around them, global warming… Money allows you to spend the time with the ones you love. Before we go to bed each night maybe the best we can do is say that without the need to work at a 9 to 5 job we can spend time with the ones we love while we can. In the mean time those that have to be a slave to the all mighty dollar make the most of the time outside of those working hours. A free and happy life means me controlling my anxiety and not my anxiety controlling me. 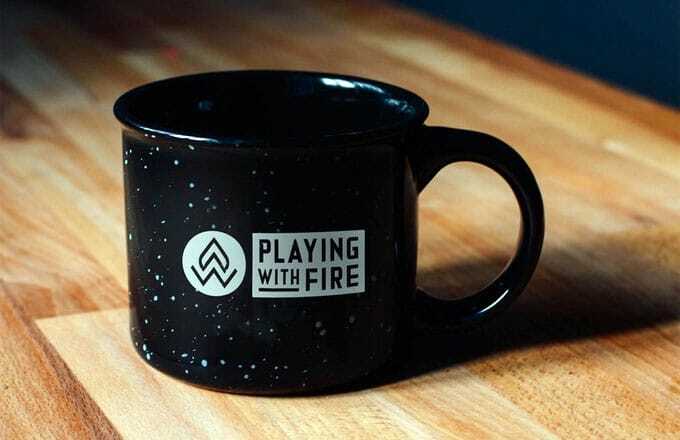 It means going from playing with FIRE to creating and spreading the FIRE. It means waking up in the morning with a smile on my face and hugging my spouse. It means I can look at her and say, “Besides our normal routine, how can we make the most of today?.” It means shedding imposter syndrome and living a life of Financial Independence. It’s not quitting and leaving a job because I can, but it’s being able to leave that job if or when it’s needed. It’s about combining health and wealth to fulfill life. It’s helping others to do the same. A free and happy life is what the FIRE movement is about. It’s the “American Dream” for most but, priority for a few. This documentary is ultimately about Scott and Taylor finding their free and happy life while learning from a community of those who have found theirs. My current life is happy but not free. But I am on that path now and inspiring others to join me. This documentary means a part of my life to find that freedom. And whether I win this giveaway or not I stand 100% percent behind everyone involved directly and indirectly behind this documentary, movement and lifestyle. Because a happy and free life is what everyone wants, but what those in the FIRE movement actually are working towards. Amen brother!! And honestly I’d take being happy and not free than the other way around any day of the week :) What’s the point of all the freedom/money if you can’t figure out how to be happy with it? Very cool to hear my friend! :) I’d really love to see this movie come to life. Afternoon naps are my 1st goal. I love to wake up early and be super productive but I want to also be in my hammock for about an hour in the afternoon and not feel like I’m wasting time. It would also be pretty cool to be able to take trips longer than 10 days at a time. I will become fluent in Spanish, sew my own perfectly fitting clothes and master bread baking. I will get SO good at yoga. I will be available to friends and family with hectic schedules/health problems when they need childcare, a ride, or a meal. I’m gonna need those naps. I started taking them after a 30 year break just last year :) A pretty surprising out come from shutting down my laptop over the weekends now – it’s beautiful!! Even if they only last 20 mins before one of the three kids wake me up! To me, a free and happy life would be having enough financial security to be able to quit my job and stay home with my two kids. My husband already does this (lucky man! ), and I am so grateful for him being a stay at home dad, but I would love for both of us to stay home with our kids. I don’t know that I would want to live the life of leisure, because I could see us building some type of business where we could work at home together, but having the flexibility to be able to be at home with my sweet babies would be the ultimate free and happy life for me. I can’t wait for the movie…currently, FIRE is just a dream for me so I’m very interested to see how people who’ve made it deal with the switch from working to funemployment… Also this next recession will be my first since starting to pay attention to FIRE. If I make it to Thailand like I hope, I’m sure I’ll see a few of those. I’d like to see how everyone deals with the decreased dividends, etc in FIRE in a downturn. It’ll definitely be an interesting ride once it all starts to crash… This blog was started in the middle of the last bubble pop and it’s amazing how people have forgotten about it since…. It’s about to get REAL again up in here! What is freedom to you? Big question with so many answers. Sleeping in, spend our time together as a family, creating things that inspire us. Passion projects, donating the proceeds. Biking, baking, basking in the sun. Long hikes with a loyal dog. Making things and just putting them out into the world. Helping people with no expectations. We already do most of this. Freedom would mean just more of this good stuff, and less of (none of!) answering to a boss and sitting in a cubicle and attending pointless meetings. A free and happy life involves more time with family, more time to travel at a more reasonable pace, more slow mornings. Less worry, less stress. For me, it’s healthy, compassionate kids, spontaneous adventures with the family, and the flexibility to work on projects that matter. Will the movie be available in Canada? I don’t know if it’ll *screen* in Canada, but I’m sure it’ll be available digitally at some point! A free and happy life, for me, means choosing how to spend my days and having the ability to focus on the things that are most important to me: my family, meaningful work (advocating for a diverse community close to my heart), and spending a ton of time in nature (hiking/backpacking). A free and happy life for me would include being able focus and create more art and do what I love instead of what I have to do. Travel more of the world to immerse myself in as many cultures as possible and derive inspiration for even more art. Being able to be with my kids more and more involved because they are growing up and won’t be around forever. I had a weird sticker obsession when I was young. (I only got rid of my sticker collection when I turned 23.) I just collected them – I never used them. They were too precious to me. I see that in how I handle some of my possessions now. I will hoard the expensive things for “special occasions” that never come. A free and happy life is one where I can use things and not worry so much that I will never be able to have them ever again. That includes money, possessions and stickers! I stared at this blankly for quite a few moments. If you haven’t specifically thought about it, it is hard to nail down some key points. At the moment for me it would have to be FI with enough additional money to attempt one of my business ideas and completely fail. And during that time be able to spend about a month in the Western United States traveling round to all of wilderness with my family. Hopefully, if my 12 year plan works out, this will be a true possibility (minus the business venture failure option). Just need to keep working on that “free” part. I’m a backer! My pledge was the one that put it over the top to $40,000 (the minimum goal). Looking forward to seeing this film. And we all thank you for it!! Not needing to work so I can travel when I choose, then spend the rest of my time helping others…primarily homeless people and homeless animals. Saw the trailer at FinCon and looking forward to seeing the full film. I’ve always said I would be so much happier if I could only work part-time, since “work” gets in the way of those other things I want to do- (i.e. taking care of my mini-farm, learning more about woodworking, more volunteering with my church and other charities like Habitat for Humanity, traveling, reading, gardening-I could go on). It would mean I wouldn’t have to worry about covering myself with healthcare insurance. I work in healthcare and I see so many people who don’t get what they need because they don’t have health insurance. This worries me a lot. I am 59 and I want to stop working, but this fear alone keeps me from stopping. I was wondering if that was you! How cool! I think it comes back to money buying time. I want to set up a jewelry studio and have the time to get lost in it instead of having half an hour here or maybe, if I’m lucky, 2 consecutive hours to work on a project…every two weeks or so. Sigh. I want to have time to make things. 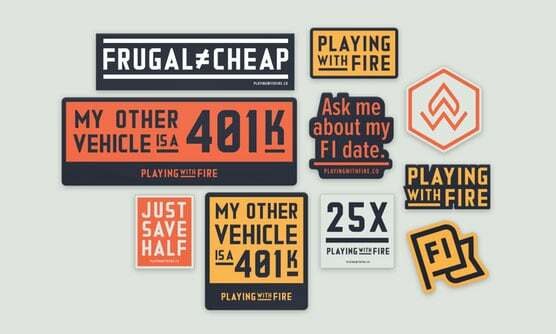 Also crazy about the “My other vehicle is a 401(k)” sticker. Very awesome. Oh my goodness! I want this documentary to come out so bad! And I want to share it with all the people! XD Can’t wait! And for my vacations, I mostly want to travel around the U.S. to see a lot of the national parks. I keep hearing about that book!! Will have to finally check it out – def. looks good. A free and happy life includes perfect health, the right partner, love, financial security and the suitable environment in which to have the home base. There is no employment taken on in this life out of financial necessity; freedom means working to enjoy and to serve if at all. PS – AWESOME quote from MMM. Man, can that guy write, or what?! Pursuing my passions, helping others, and spending as much time as I want with my family is what it means to live a free and happy life. That trailer looks so AWESOME. My dream free and happy life means not rushing to get all my chores done on the weekend. The rest I’ll figure out later–Because I Can! What a great trailer! I really want to see this documentary. I miss staying up late and sleeping in too :) Wouldn’t matter if I was retired though as having billions of kids wouldn’t even allow it, haha… So please make it happen so I can live through you!! A free and happy life….being able to spend time with friends (wherever they live) and travel while not fretting over the cost. Just enjoying life and doing what you want, when you want. Just having the energy and bandwidth to feel the same amount of joy and relaxation my husband and daughter feel when we are in the same room. This makes me so sad to read :( I hope you can find a way to get that quality time you need! I bet they’re so happy and relaxed because everything you do for your family! 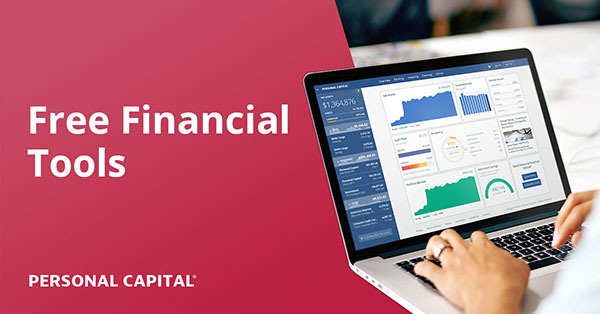 Financial Independence for me is the purposeful act of acquiring the skills, knowledge and resources and utilizing them to achieve more freedom, ease, opportunities, AND options on your own terms. A free and happy life would mean being able to do what we want when we want – to pursue our goals and passions without having to sacrifice the bulk of our time to pay the bills. Working because I like what I do, not because I have to. Traveling when I want without fretting about the costs of flights and hotels. Plenty of money to live where I want (close to work so I don’t have to deal with much of a commute). Lots of time to curl up on the couch with a (library) book. The ability to feel comfortable to life the life I want as opposed to the one expected of me. To me, a free and happy life is one where I can live and work by my own principles instead of whatever passes according to an employer. =) Where I don’t have to play the game of all the broken systems and can just do what needs to be done without financial worry. A free and happy life is one where I spend my mornings making breakfast with the husband, the early afternoons playing with my three dogs, and the rest of the day teaching & playing with my 7 year-old brother. I learned about financial independence this summer. I’m so excited to be on this path, and I’m even more excited about this upcoming movie! A free and happy life is spending time with family and friends… especially my kids. It’s having “me time” to read. It’s teaching others how they too can have their financial independence after suffering financial ruin. Its volunteering with organizations that save abandoned and/or abused animals. It’s watching the sunrise and living in the moment. There’s been a lot of noise around this documentary and I’m really looking forward to watching this! My view of a free and happy life would be getting out of bed everyday and in some way making a worthwhile contribution to my community, family along with improving my life to being a better human being. It would be nice NOT to look at the company phone, computer or attend the same old meetings whether in person or on skype discussing the same old topics. For me, a free and happy life looks like a generous life. It’s the ability to sow into others’ lives without thinking that it’s taking anything from mine. Whether it’s a gift to celebrate a birthday or a holiday, personal or business milestone or helping out in a tragedy, I want to be the person that others can count on. But first, I have to be able to count on myself and feel secure. Congrats to Natalie, Jacq, and Catherine G. for winning! But really, everyone will win once the move comes out!! Being able to choose how to spend my time and not being forced to schedule my day around being at work for 9 hours. A free and happy life would be having the resources (time and $) to take the kids on month-long trips (US – camping road trips, World – backpacking trips) for every summer break. A free and happy life to me is being able to know how I want to spend my time at any point during the day without the worry of any financial setbacks. If I feel like taking a trip with the family, going for a run, volunteering in the community or just stay home anytime I want then I will. I’m sooo excited for this documentary and to have my husband watch with me! A free and happy life looks like spending half the year somewhere in Europe and half here (this is my dream “retirement” goal. It means visiting family when I want to. It means doing work I love but when I want to, maybe that’s only a couple hours a week (and not feeling guilty about not working enough!) it means my husband can pursue something he loves to do like tech instead of just having “a job”. K so I realize I’m super late here (still catching up after having to work a turnaround), but I’m super stoked about this!!! Glad you made the trailer – looking forward to your feature length film one day!